Let’s face it, most smartwatches aren’t very fashion forward. Many of them are just plain ugly. I was excited to learn I’d be working with Best Buy on the new Michael Kors stainless steel smartwatch. Not only is it fashionable but it’s also perfect for optimizing productivity. You’ll stay punctual and poised with this new Michael Kors smartwatch. I absolutely love the gold-tone and rose gold-tone finishes that embodies timeless sophistication. Its smartphone connectivity lets you take selfies, ring your phone, access music and keep track of personal goals. The round 42mm case of this Michael Kors smartwatch makes it easy to see the interface. The smartwatch is compatible with iPhone/iOS and Android phones. Make every minute matter with smart help and health coaching, from the convenience of your wrist. You’ll get smarter health coaching from Google Fit. It motivates you towards a healthier life with the Google Fit app’s two new activity trackers—Heart Points and Move Minutes—which were designed in partnership with the American Heart Association and the World Health Organization. These evidence-based metrics measure activity intensity, and smarter health coaching makes your fitness goals more achievable by motivating you to stay active throughout your day, everyday. You’ll get proactive help from Google Assistant – from viewing upcoming flight info to dinner reservations. It also offers quick access to Google Pay – so you can pay with a wave at almost anyplace that accepts credit cards. Fashion meets function with this designer brand: fresh, eye-catching design is perfect for transitioning from a workout to a night out with ease, and you can customize your dial (watch face). Although this watch is compatible with iPhone and Android phones, I did find some limitations connecting it to my iPhone. Since the operating system is Google’s Wear OS I would suspect that it offers many more functions when used with an Android phone. Having said that, I’d still recommend this smartwatch for the iPhone user especially if you are looking for something gorgeous and more fashionable. It truly is a stunning watch. Looking for a fashionable smartwatch? 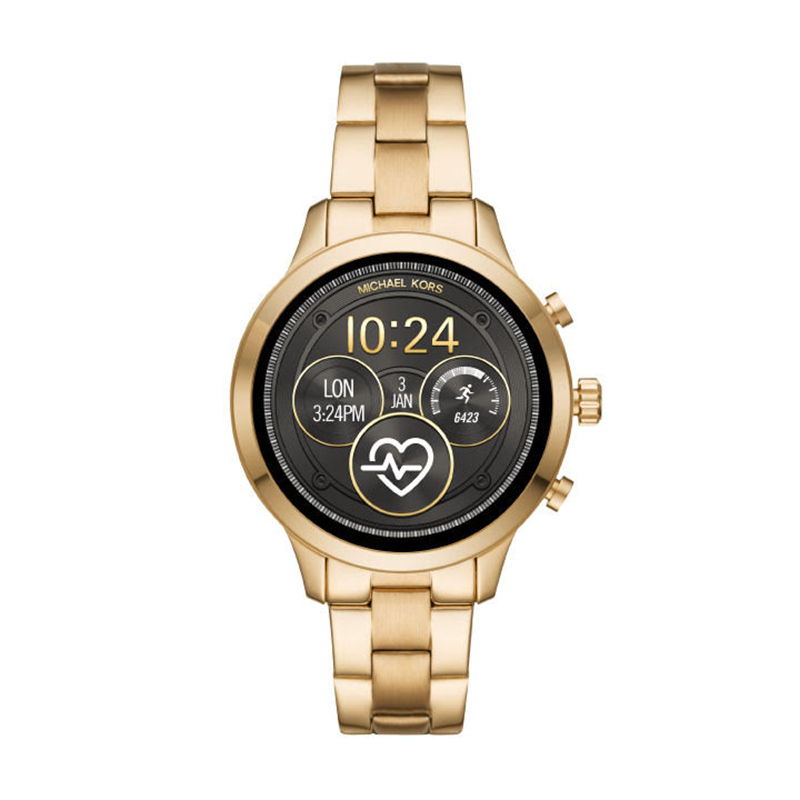 Head over to Best Buy to get your Michael Kors smartwatch in gold or rose gold.